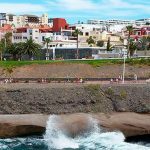 If you’re planning your holidays in Costa Adeje, Tenerife, and wondering what to do besides the pool and the beach all day, then you shouldn’t worry because there are lots of things going in this area. No doubt that there is no better day package for discovering Costa Adeje by land, sea, and air offering you a day full of fun, having various exciting and adventurous activities. In this post, we will recommend you a few things to do in Costa Adeje so that you feel that your trip has been completed, and you will surely want to repeat! As a beginner, with this activity, you will discover the most spectacular underwater landscapes of the island while discovering scuba diving. This activity is suitable for families, friends and for people all of the ages (10 years onwards). First of all, this activity is designed to give you the opportunity to try out scuba diving under the direct supervision of professional instructors. After a brief session covering the basic theory of scuba, you get the opportunity to try out the equipment in shallow waters. During a theoretical lesson, you will be given all the information you’ll need for your first scuba dive with the instructor. You will learn some basic scuba skills. Siam Park in Costa Adeje has been voted many times as the best waterpark in the world by TripAdvisor, and it’s easy to see why. For beginners, the Thai landscaping makes it all rather beautiful to look at, with most of the flumes and pipes are hidden away behind lush foliage. If you’re feeling particularly daring, there’s the terrifying Tower of Power which sends you on a near-vertical plunge through a shark tank. You’ll love it! Before you even get to any of the rides, there’s an incredible white sand ‘beach’ and turquoise lagoon which looks more Phuket than a Canary Island’s beach. Such a fantastic activity to spend all day long with the family. If you want to get to know the Costa Adeje area from the heights while flying over its skies, you can do so thanks to the professional instructors of Overfly Tenerife. This sport is one of the best that exists, which gives you a feeling of total freedom. Paragliding is one of the most incredible sports out there. The principle is to use a canopy similar to those used in skydiving and gathering the thermal wind currents in order to stay as long as possible flying. This sport is usually practiced in mountainous regions as wind currents are affected by the orography creating optimal conditions for the practice of this incredible aerial sport. Adeje, in Tenerife, is one of the best-known paragliding places in Spain. The reason is quite simple since Adeje is a city located on the slopes of Pico del Teide, at a considerable altitude. This factor, along with the winds coming from the coast that bounces on the mountains creating thermal wind currents, helps adventurers to paraglide almost all year round. Enjoy this incredible paragliding experience contemplating the natural beauty of the island of Tenerife while flying with Overfly Tenerife’s professional team. With them, you have the possibility to choose between 4 types of flights: Standard Flight (700m), Performance Flight (1000m), Izaña Flight (2200m) and Acro Flight (700 / 1000m). Performing this activity you will be able to appreciate the sea, the ravines and the surroundings of Costa Adeje in its entirety. The duration of the flight is between 15 and 20 minutes, but you will need 2 hours in total for the whole experience, including transportation. After being picked up in the south (in the zone of Golf del Sur to Playa Paraiso included in the price), you will start the catamaran tour from Costa Adeje to Puerto Colon, the sports and tourist harbor in Playa de las Americas. Here awaits you a luxurious catamaran with the largest catamaran sail in Europe. Once on board, you will set sail towards the open ocean. The great view of the two islands of Tenerife and La Gomera will inspire you. The Atlantic Ocean off Tenerife is very diverse and soon you can observe from one of the decks the different cetacean species and possibly sea turtles that live off the coast of Tenerife. In addition to the important safety information, the trained crew will give information about the fauna off the coast of Tenerife during the catamaran tour from Costa Adeje. During a bathing stop in front of the ravine of Masca, a lunch is offered. Drinks are included throughout the whole journey in the price. On the return trip to Las Americas, you can once again enjoy the entire panorama of the south coast of Tenerife and let all the impressions reminisce. This catamaran tour in Costa Adeje is a great way to spend time with your friends and your dear ones. On this guided kayak activity on the island of Tenerife, which is also suitable for beginners, you can observe dolphins and turtles. In this way, you will get to know the sea and its wonderful landscapes as well as the animals that live there. To do this activity you don’t need to have previous knowledge, just a little stamina and a little aptitude to successfully perform this sport. During the activity, you will go with the kayak to an isolated place, where you will see as I said above, these wild animals and where can snorkel and also swim in these fantastic waters. After this brief presentation of some Costa Adeje Activities that you can do in this area, are you still looking forward to more? 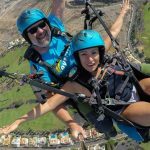 If you need more information or want to know other aspects related to Costa Adeje or paragliding, please contact Overfly Tenerife through our website or telephone, we will be happy to assist you. Do not think more and come to visit us at any time of the year. Costa Adeje awaits you!